Maybe you have recorded many TV shows with TiVo and and want to put them into some format you can transfer them to Sony Blu-ray Player for enjoyment, just read on this article. This guide will show you how to convert TiVo files to Sony Blu-ray Player compatible MPEG-TS HD format with least quality loss. "Today I bought a Sony Blu-ray Disc/DVD player model BDP-S580. I hooked it up to the Tivo receiver and the TV and I got the set up screen no problem. I could see everything fine and everything works on the Blu-ray player. The problem is all I get the Tivo is "searching for sinal - no signal. The Tivo was recording everything fine while I set up the Sony Blu-ray player. But I couldn't watching anything on my Tivo or regular TV when the Sony Blu-ray player was connected. And the only way I could finally watching anything on TV was to completely unplug and disconnect Sony Blu-ray player and only have my Tivo receiver hooked up with composite cables to my TV." Connect the BluRay to your HDTV using the HDMI cable. I assume your HDTV has an HDMI input. This way you'll get true HiDef video from your BluRay Player. Connect the Tivo to a different TV input using the Composite Video (yellow RCA) and audio (red/white RCA) cables. That's the best quality video from your SD Tivo. First make sure the connection of Tivo and Sony Blu-ray Player is correct. If you still failed to get Tivo recordings to Sony Blu-ray Player, a more simple and easy to operate way to convert Tivo recordings to Sony Blu-ray player playable formats such as MPEG-2 TS so that you can directly watch Tivo files on Sony Blu-ray players easily with connected USB storage device. To complete the conversion, you will need a Tivo to MPEG-2 TS encoding application. 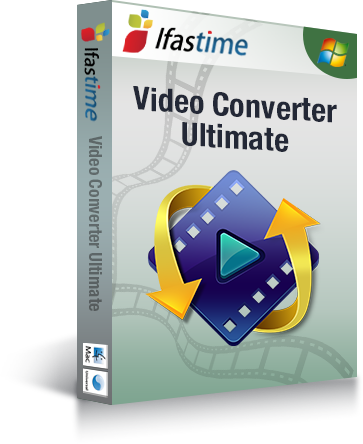 iFastime Video Converter Ultimate can be your ideal choice in thousands of video converters in the market. With it, you are able to remove Protection/Commercial from TiVo Recordings and convert Tivo files to MPEG-TS HD video formats to play on Sony Blu-ray players with high definition quality. In addition, you can also transcode Tivo to MPEG/MOV/MKV/MP4/AVI/WMV for playing, editing and uploading without any hassle. Get wonderful output files with simple steps and never worry about out of audio/video sync! 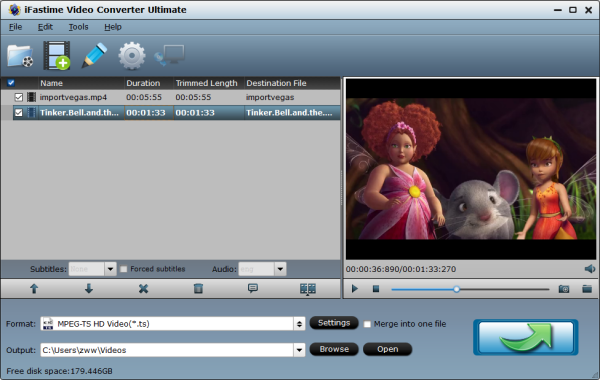 The equivalent Mac version is iFastime Video Converter Ultimate for Mac. Just download it and follow the steps to converting TiVo to Sony Blu-ray Player in a few clicks! For Windows (including Windows 10) users, just follow the detailed guide to complete your conversion. The way to encode TiVo to Sony Blu-ray Player video format on Mac (including El Capitan and Yosemite) is the same. Just make sure you've downloaded the right version. Click the "Tools" icon on the top tool bar to open "Options" window, click the "Tivo" tab, enter the "Media Access Key" in the Tivo Settings window, then click "OK" button. And you can find it by logging into your Tivo account at Tivo and clicking the "Media Access Key" link on the right side of the screen. 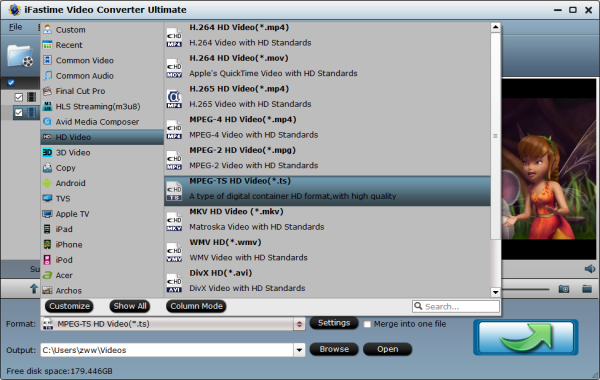 After enter the Tivo files Media Access Key, click "File" menu, from its drop-down selection, choose "Add Video/Audio" or "Add from Folder" to import source Tivo files to the program. Other video formats like AVI, MP4, FLV, WMV, VRO, etc can also be taken as source files for loading. 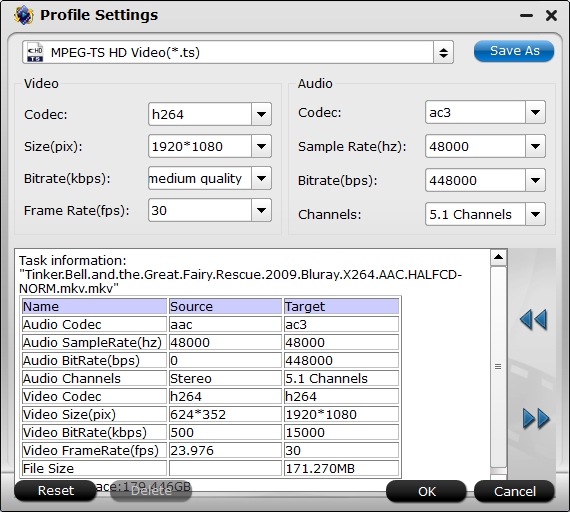 From "Format" drop-down list, select "HD Video" > MPEG-TS HD Video(*.ts)" as your desired output format. It is a type of digital container HD format with high quality which works perfectly on Sony Blu-ray Players. Step 4: Start Tivo to MPEG-TS Conversion process. All all the settings is over, start Tivo to Sony Blu-ray Player MPEG-TS HD video conversion by pressing the right-bottom "Start conversion" button. When the conversion is competed, transfer the converted Tivo files to an external USB storage device, then connect the USB device to USB port on your Sony Blu-ray Disc player for play Tivo files with Sony Blu-ray Player on TV or computer with ease. Or use the DLNA feature to access media files over your home network from other DLNA enabled devices, such as a PC or PlayStation3 system. 1. If you haven't got TiVo files ready on your PC, follow the steps: Launch TiVo Desktop software on your PC. Connect TiVo to your home network, and then the TiVo Desktop will provide you with a list of shows for transferring to your PC. Then please transfer the TiVo TV shows you want to PC. Once all the shows you selected have been downloaded from your TiVo, they will appear in the Now Playing list in TiVo Desktop. 2. If you find Blu-ray Player with TV displays black and white issuse, refer to the similar DVD Player and TV playback solutions. 3. If you want to convert TiVo to mpeg-4 (*.mp4) for your iPad Air 2, iPad Mini 4, iPhone 6S/6S Plus, iPhone 5SE, Galaxy S7, Samsung TV, etc with best settings, please choose the specific profiles the software has preset as output format and get the suitable settings. Can't Add AVI files to Windows Media Player library?